CSKA Moscow continued their impressive start to the new Euroleague season when they beat Olympiacos to become the only team in the competition with a perfect record. The reigning champions led from the opening tip and never relinquished that lead all the way to the final buzzer. The Russians enjoyed a ten-point lead or higher from the second quarter up until the final couple of minutes of the contest when their Greek opposition mounted a spirited comeback. 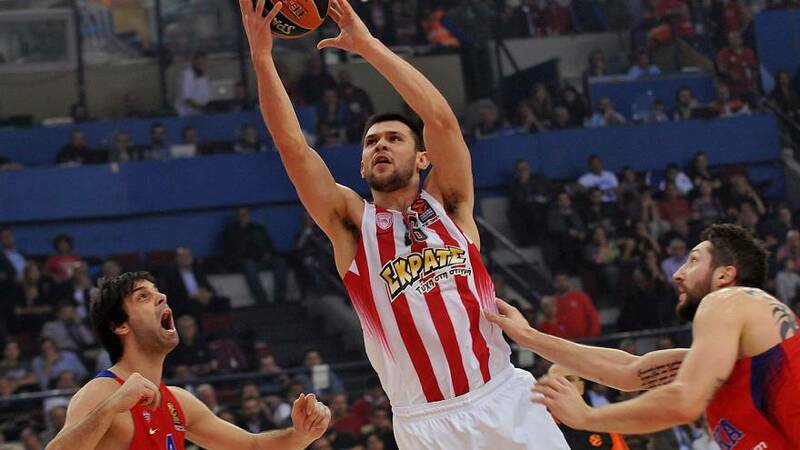 But Olympiacos couldn’t maintain the momentum enough to edge in front. France international Nando De Colo, last season’s MVP, paced the winners with 23 points, nine rebounds and three assists while Aaron Jackson and Kyle Hines each added 13 points as CSKA ran out 81-75 victors. CSKA have now won all five of their opening matches this campaign. Snapping at CSKA’s heels at the top of the standings are Real Madrid, who defeated Galatasaray Istanbul by nine points in the Spanish capital to move to four wins and one defeat for the new season. The Turks of Galatasaray started the better and midway through the second quarter enjoyed a seven point lead. But Trey Thompkins, Jeffery Taylor and go-to-guy Sergio Llull started to turn things around for record nine-times champions Real Madrid who then proceeded to take charge of the tie in the second half. Galatasaray kept the fight going until the final moments but Real held on for a 90-81 victory. Llull led the winners with 23 points while Rudy Fernandez chipped in with 13 points as Real kept their bottom of the table opponents winless so far this edition.